A little listening can go a long way to get to the heart of a community’s needs. By understanding the pain points of those your company wishes to connect with, the better you’ll be able to provide the resources needed to make better decisions and improve their business. 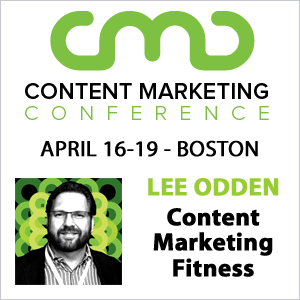 You may have heard Lee Odden reference the need to create a social media roadmap, starting first by gaining a better understanding of the intended audience and identifying objectives. A social media marketing strategy is the bridge between reaching that audience and mutual goals. Gain an understanding of how you are going to speak to the community and what you want them to do. Think realistically about providing and receiving value. For example, will building a network of 1,000 friends on Facebook have an impact on your business without clear goals around what you want those friends to do? There’s an implied connection between quantity of network and marketing effectiveness, but with social media it’s more about quality, not quantity. If the objective for your social media efforts is to sell more product, become a resource to help your audience use that product and give insight into what’s in it for them. Make a bigger impact with your community by giving them the knowledge and tools to help them accomplish their goals and in turn, they will see your company as a valuable resource. Follow the ‘give to get’ mentality to build relationships. How do I create unique content that speaks to my audience? Provide opportunities for your network to create their own content. Run promotions involving user generate articles, videos, images or other content that can be shared, promoted and recognized. You can also collect and examine the resources you already have, including case studies, articles, white papers, PPTs or blog posts. Chances are, you have the makings for great unique content or can lay the ground work to repurpose that content. In this age of Web 2.0, those who are active in social media are essentially publishers. Content creation plays a key role in your social media strategy. One way to ensure you publish consistent, unique content that speaks to your target audience and aligns with your target keyword concepts is to create a content calendar. As an Account Manager for TopRank Marketing, I work with clients to develop a content marketing calendar that aligns with their strategy and guides development of meaningful information, resources and media to connect with their target audience. Social media publishing platforms like blogs can use content or editorial schedules to serve as a guide and keep messaging within the ballpark of the overall content strategy. I’m curious as to how many of our readers active in social media have developed a content marketing calendar? Great post. I have a content marketing calendar for my consulting firm and am working with some of my clients on developing theirs. It would be nice if all of them accepted the new opportunities. Companies that thrive using traditional marketing methods resist content marketing because it is hard to measure the results. When one is willing to test the content marketing waters, it is fun to watch the excitement grow when customers start responding. As for content marketing, giving your customer something of value is critical. Finding out what they want is facilitated by social media, which enables you to better listen to your customer. Many customers think of content marketing as something separate from their normal marketing. However, by incorporating both into one marketing plan and mapping it out in advance, most companies will find that they aid one another in increasing business. Content is the most important only if it is good quality, that is informative. So many people think that they can throw up anything and its sufficent. Great post, Jessica! Loving the content marketing strategy that starts with “What are we going to give?” and excited about how well it fits with everything we are doing! Do you have any examples of people who have done a good job at this? Having a marketing strategy that encompasses content and social media is a smart strategy. Twitter, Facebook and the like can be used in conjunction to build a base of loyal followers and potential customers. You only need to have a good content and a good strategy. Viola! Whilst its very important in this day and age to be at the cutting edge of social media, and implement this into your SEO strategy. I’d also not neglect traditional forms of advertising and marketing. Also before any social media SEO is implemented it’s necessary to get the fundamentals down pat. Onsite and offsite work should be put in place first. Billythekid: I couldn’t agree with you more about getting the fundamentals down pat. It doesn’t do much good to draw people to your site, if it isn’t set up right in the first place. Proper targeting of your market or readers is very important. Our content should fit and align to their needs. We need to study those behavioral flow and come up with the content that fits best for them. Relevance and importance are the keys. Its important that your content is of good quality and provides your users with informative information that they will find useful. Thanks Jessica! So much here to praise and repeat, but what jumps out for me is the road map. You have to have a plan and then as you execute the plan, see where you are on the map. Are you on course? Do you need to change the plan? Demming taught us Plan-Act-Check and back to plan. Toyota was built on this simple process. At my firm we are always stressing the importance of combining great content with an ongoing social media strategy. It not only helps get your website’s message out to more people, but if you really listen to what your customers are saying about you online, it can help you decide what kind of future content your website might need. Great points. It is easier if you can have your web visitors help contribute content. Otherwise you may find yourself regurgitating content from sources that are already over used. 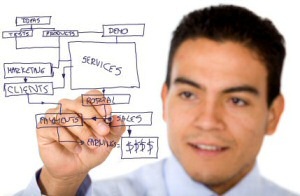 Users may have personal experience with a product, service, or a particular topic, which hasn’t been overly discussed. Fantastic post! I have been obsessively reading your blog ever since one of my marketing friends forwarded it to me. We definitely have a whiteboard where we brainstorm ideas as well as put it all into a daily release calendar/schedule. We try to live by the Goldilocks principle for distributing information: not too much, not too little, but just right. I’d be interested to hear what other types of organizational tools other companies use to streamline information to social media outlets. I have to say I agree with a few earlier comments, that I think it’s essential to make sure that ensure that you don’t abandon the traditional forms of marketing. I think a great strategy however, is to find ways to combine the more traditional marketing attempts with new technology. One way we’ve been doing this is using a company (http://www.digitallizard.com/small-medium-business.php) that prints our traditional flyers etc. that provides an online, customized print store that our employees and customers can also access – a perfect way to have a mix of old and new. Another variety of social media marketing (other than blogs, wikis etc) is promotions through web comments. Advertisers can use tools like commentino, to promote their business via web comments in relevant forums. Advertisers pay per comment, once comments meet their requirements. They can use real-time analytics to measure ROI. But sponsored commenting is advertising, not content marketing.